Livinghouse has an exclusive collection of German and Italian quality cosmetic mirrors, all with a superior quality magnifying lenses. 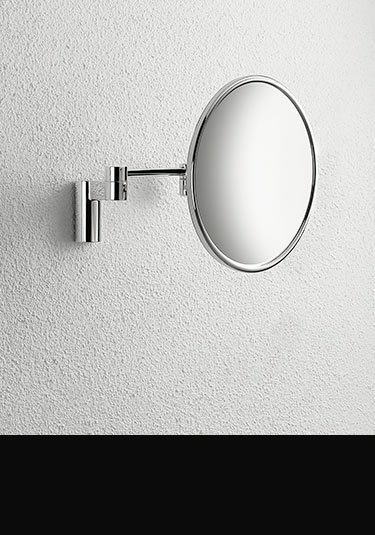 These magnified mirrors can be wall mounted with fully adjustable arms or deck mounted for counter top use. We have make up mirrors with lights that have frosted halo lights which improves the viewing for applying cosmetics, shaving or just having a good look. 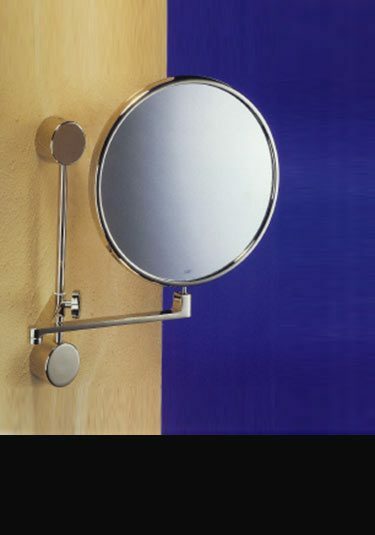 A wall mounted make up mirror with sliding rail and fully adjustable swivel arms. 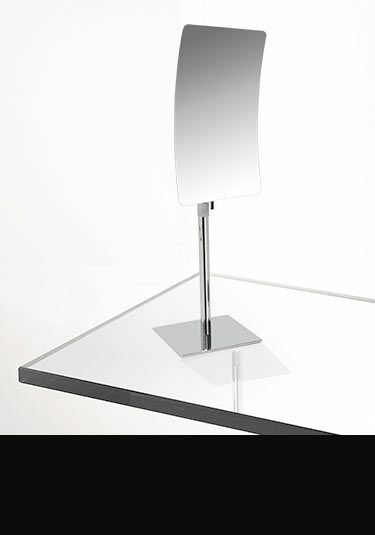 The vanity mirror is magnified allowing easy close up viewing and is made in Germany ensuring luxury quality. 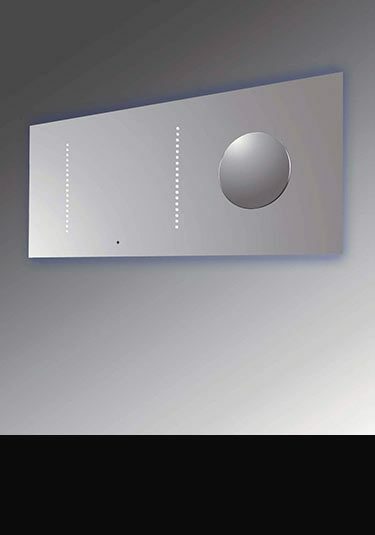 German designed and manufactured make mirror or shaving mirror with a halo surronnding light. 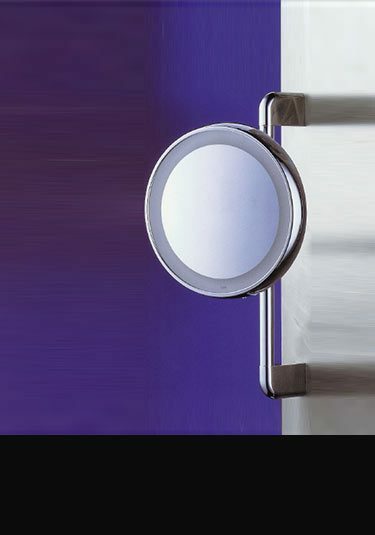 This vanity mirror is magnified with the head adjustable in a slide rail up and down and side to side. Nice quality cosmetic mirror with a 2 times magnifying mirror lens. 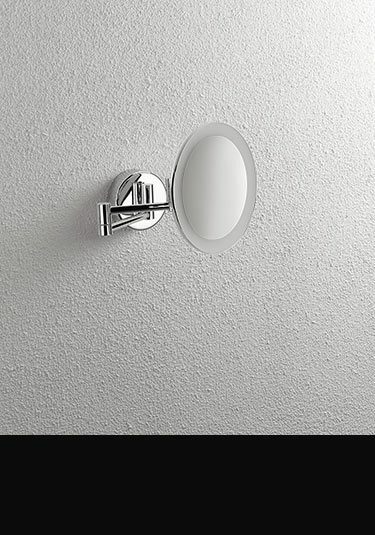 Made in Italy and with a fully adjustable wall arm and halo light. 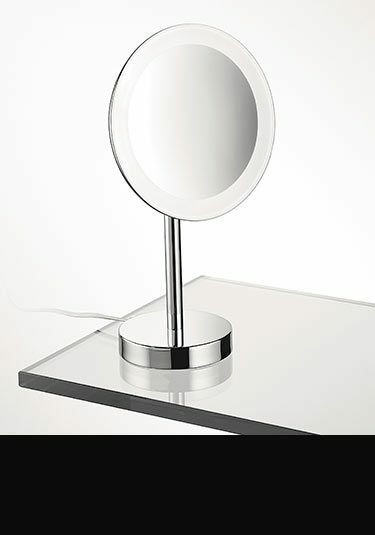 A luxury quality cosmetic mirror with a halo illuminated mirror that is magnified 3 times. 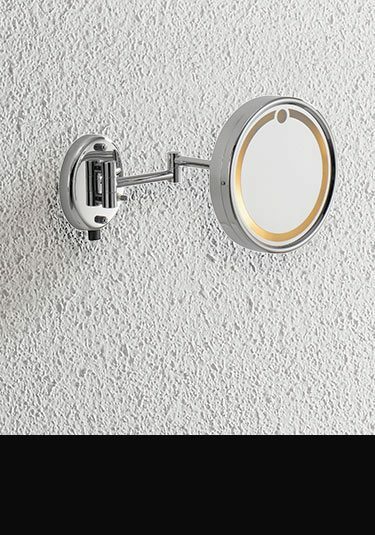 A wall mounted cosmetic mirror with a high quality magnifying mirror lens allows. Luxury European quality Italain styling. Deck standing cosmetic mirror with magnifying illuminated mirror for the successful applying of make up. Lovely Italian quality.